Twitter – Waste of time or a real Gem? On the 21st March 2006 founder Jack Dorsey sent the very first tweet and eight years on while it is growing in popularity it is still quite the most misunderstood of the popular social media platforms. When we run our Social Media courses the results are nearly all the same, pretty much everyone is using Facebook at some level and just a very few are using twitter. I would safely guess that a maximum of 20% of social media users are actively using twitter. Is this failure, is this most people deciding that it is irrelevant, is this most people not understanding how to use Twitter or is it an absolute gem that is yet to be discovered by the mainstream? At Fuzion we take it really seriously because we see the value of it for us and for our clients but we do understand the difficulty that people have with it. By it’s nature it is looser than the other platforms with pretty much anyone being able to follow anyone, your messages are more public capable of being picked up by anyone searching and then there is the business of hash tags, re-tweeting and #FF, that’s Follow Friday, by the way! Added to that everything is quite limited, how many characters (you have 15 characters in your twitter “handle”) in your unique identity, how many characters you are allowed in a post, how much information (literally describe yourself in 160 characters) you can include in your bio – it’s just different, different enough to scare users off initially before they get to experience the real magic. The whole experience is very different and in many ways it is attracting quite a different type of user – often a curious individual who loves getting involved in discussions and who loves giving an opinion! Many of these users seem to leave Facebook behind as they find the Twitter experience more enriching. This trend of choosing Twitter over Facebook is definitely happening – since Facebook went public two years ago the platform is now being dominated by advertising (any business user must advertise now for their efforts to be effective) and this is definitely accelerating the switch for many users. In the last year we have seen the interface and some of the functionality improve, we have seen the introduction of user advertising and the numbers using the platform have continued to increase. 1. Branded Chit Chat – on twitter you can choose an identity for yourself and every time you post, your “identity” carries with you, it’s like advertising in a subliminal way @prguru. Guess what service that person provides? Even if you are chatting about the latest Liverpool game your identity travels with you. 2. Viral “ability” – of all the social media platforms twitter is the very best for passing on information. The retweet facility makes this possible. I pass the message to my followers, them to theirs and so on. Uninteresting posts will not be retweeted but interesting ones will be. 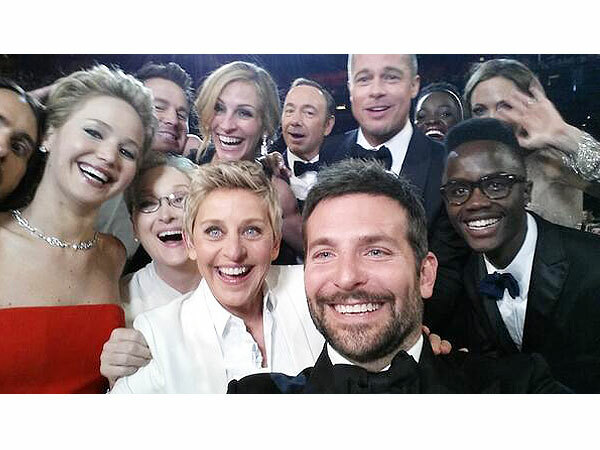 The recent “selfie” from the Oscars caused quite a stir and reached more twitter users than any other tweet. 3. Innovators and Early Adoptors – Seth Godin in his famous book the Purple Cow talks about a typical product cycle and he stresses the importance of targeting people who love new things. These are the people who love to try new things out and then tell their friends, they are generally naturally curious and are often the ones who are vital for spreading the word – before you know it when enough people have heard about “that” new product it enters the mainstream, where volume starts kicking in. If you have a new product or service you will find many of these innovators and early adoptors are already using twitter- makes sense if you think about it? 4. Avoiding the Crowd – Facebook has the advantage of so many users and it is really powerful as a result. However it is a pretty crowded space with more businesses joining it the whole time competing for people’s attention. The chances are that your competitors are already up and running and competing with you in this space. Twitter on the other hand has not been fully explored to the same degree so you can steal a competitive advantage over your competitors and have more of those prospects to yourself. 5. Search – the search facility on twitter is incredible. You can use it to follow topics, to search on people discussing your business and your industry. We find it invaluable in our work with clients and in a “crisis” situation it is really useful. You can literally measure the temperature of a situation on twitter, which can be really useful if you are dealing with a tricky situation. In the last 12 months alone we have used it many times to assist us in our work with clients. 6. Read all about it! – the problem is that it is now impossible to “Read all about it” . With so many newspapers, magazines, radio and tv channels how is it possible? With twitter by following the correct media profiles on twitter you can create your own customised news feed. Everything from your favourite team (have I mentioned this is Liverpool!) to breaking news. 7. Journalists – Most journalists are using twitter – the search function makes it really useful for them to stay up to date on issues. If you start using it you can quite easily follow journalists who may be interested in your sector and if used correctly you will be able to learn what they are interested in and what they are writing about. Use the platform to try to build a relationship with them and then pitch your stories – make sure you build trust before you start pitching! 8. Audience – if you use twitter proactively we believe you have a good chance of building “followers” or an audience for your message very quickly, much quicker than Facebook. However, it’s up to you how you use these relationships once you gather them. 9. Relationships – we have found that the nature of the conversations is quite different and at times they are more of a “community” type – the conversations can happen between groups of people. As a result you can have quite different relationships with people. Once you are capable of holding your own on an issue or topic you will build a good reputation and also quality relationships with relevant people. 10. Fun – there can be quite a good sense of humour around using Twitter and even though your topics might be heavy you can build good relationships around lighter issues, which can ultimately lead to a listening for your key messages. My key message is don’t take yourself too seriously on twitter, have fun, build trust and build relationships – after that spread your message. I heard a great quote by someone who attended one of my social media courses in Dublin, when comparing Facebook and Twitter – “Facebook is for interacting with people you were in school with, Twitter is for interacting with people you wish you were in school with!” – This is a big generalisation but it does capture a little bit of the unique spirit that exists on twitter. I often hear this type of argument about using twitter so I will leave you with my closing thoughts ..
Twitter is like a radio station, you tune it in by following who you want – find the channels that you like. If someone is annoying you, don’t follow them, block them, change the channel – you are the controller! So Jack, thank you for Twitter .. I’d miss you if you weren’t there, Happy Birthday! This entry was posted on March 21, 2014 at 11:08 am and is filed under Marketing, Media, Social Media, Twitter. You can follow any responses to this entry through the RSS 2.0 feed. You can leave a response, or trackback from your own site. Getting into Twitter more and more in business, mainly U.K based. I see the point of it now, but I was one of those ‘ throw your eyes up to heaven’ types for ages, great article!